If you’re new to Google Cloud and are looking for a simple option for deploying your WordPress website, choose Click-to-Deploy. If you want to harness the full power of the cloud for your WordPress website and don’t mind a learning curve, choose the Bitnami option. Your first option is the WordPress stack configured by Bitnami, and your second option is Google Cloud’s default Click-to-Deploy WordPress Stack. Although it’s not apparent at first, there are several significant differences between the Bitnami and Click-to-Deploy versions of WordPress on Google Cloud Platform. If you run WordPress with a 1 shared vCPU + 0.6 GB memory machine, you will likely receive a message that your machine being over-utilized. I want to congratulate you for the great work you do in favor of the thousands of users who venture into new technologies. Thank you very very much. I am writing to know if it is possible to connect remotely to the mysql database of a wordpress installation, I have tried to access from my pc creating a user and giving total privileges to it for access, not being able to. You can use the gcloud command line tool to connect to remote instances from your local machine. To use the gcloud command line tool, you must first install the Google Cloud SDK. Do you have a tutorial for Bitnami multisite version running on the Google Cloud Platform? I don’t have one yet but will soon – I’ve had a lot of requests to make one! I have to say that most of the documentation on Google Cloud Platform had me baffled but your tutorials have made me look at more difficult solutions and miraculously understand most of it. Though I do have to walk away sometimes and come back to it. My problem is I have to build the website quickly then upload it to the web. I did start to build using HTM, CSS and PHP but got confused with a registration form verification so sought out advice from another developer who suggested WordPress. I’m glad I did as there is a lot out there to help, especially yours on GCP. I will have to use Click-to-deploy but move to Bitnami when I have more time to learn. My problem is; I need to use a Google domain name on a secondary domain platform ie: example1.com onto example2.com platform. Do I need access to the first domain name DNS? I’m sorry this is so long winded but I had to congratulate you first on the great tutorials before asking a mundane question. Thanks for the feedback – I’m glad to hear the tutorials have been helpful to you. If I understand your question correctly, then yes – you will need the first domain name DNS. I used bitnami for my site and I got this message. My site has less than 10 visitors a day. Should I upgrade ? I wouldn’t worry about it. You can check your machine CPU and other statistics from the GCP dashboard. If all of those metrics look good, I wouldn’t bother upgrading. That being said, make sure to execute the df command in your terminal ocassionally, in order to ensure that your VM has an adequate amount of disk space available to it. Thanks for a quick reply. I am not a technical person. Will you please tell step by step instructions for doing above ? From your Google Cloud dashboard click the hamburger menu in the upper-left corner of the screen. Then scroll down the sidebar menu to Compute Engine > VM Instances. This will take you to your VM instance dashboard which shows all of the virtual machines running in your project. Next, click on the virtual machine that is running your website, then at the top of the page that loads, you will notice two tabs at the top of the page – one of them says “Details” and the other says “Monitoring”. Click on the tab that says “Monitoring”, and that will load the screen with all the graphs/metrics which represent your virtual machine’s performance. Regarding the df command – execute the command in your terminal as you would any other command. Look at step 1 of this tutorial for instructions on how to execute commands in the SSH terminal. The guide is excellent and I could not even find a close substitute to it. Do you know why is there such a vast difference between the recommended machine configuration between Google click to deploy and Bitnami? 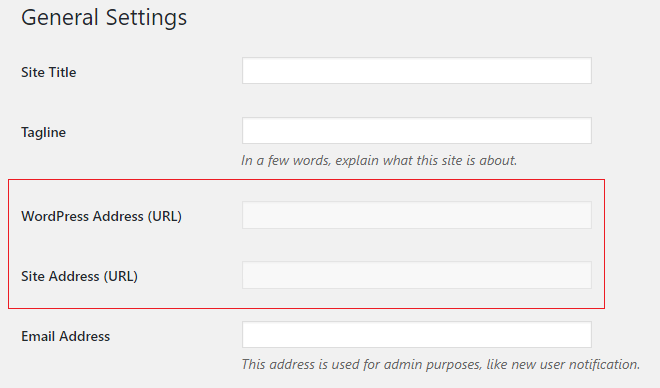 How do I prevent being bruteforce on the phpmyadmin if I use Google click to deploy? I am not sure why the default machine recommendations are different. The Click-to-deploy suggestion is overkill for most WordPress websites, so I would recommend going with the Bitnami suggestion (which is closer to $5-6 dollars per month). To prevent brute force, try using a product such as Fail2Ban . I must say that it is great tutorial. I ask many people to develop my business website in Google cloud but they rejected and suggest me another managed hosting. So it forced me to develop by my self. I’m completely new about build a website, even WordPress. And you’re right at point “Learning how to configure websites on Google Cloud takes a lot of time and can be frustrating”. Luckly Google give $300 credit on free trial so I take that as “free learning cost”. Now, I’m ready to launch my first website on one click deploy Google cloud. Next I’ll learn about deploy on bitnami. Thanks Joe. I’m really motivated. I hope I can contact you personally, just for sharing and learn. I’m glad to hear that you’ve learned a lot! And I know it can be frustrating at times, but once you get a grasp on how to host your websites in the cloud, you will have lots of options available to you – so I’m glad to hear that you’ve persevered. As always, feel free to reach out to me if you ever have any questions! I have installed WordPress in Click-to-Deploy. Is there any way I can move it to Bitnami without hurting the live visitors? Create a separate Bitnami instance and migrate the WordPress database from the Click-to-Deploy instance to the Bitnami instance. Then, in your Cloud DNS, change the A record IP address to the IP address of the Bitnami instance instead of the Click-to-deploy instance; this will result in only a couple of minutes of downtime. Would you kindly post a list of your existing tutorials that a beginner on Bitnami for GCP needs to follow to launch a wordpress site or multisite? Here is a guide for configuring WordPress on Google Cloud (Click-to-Deploy). Hey Joe, first time here. Looks like you are doing some great things with these tutorials for Google Cloud. As I am new to Google Cloud, it took me a couple of minutes to understand what you were talking about with “click to deploy” I was confusing it with the Bitnami launcher vs the Google launcher. I am not sure why anyone would use the Chick to deploy options as it appears to install the older versions of the software, whereas the bitnami option installs the new versions. Having said that, what are your views on installing with the Bitnami cloud launcher, verses the Google cloud launcher. I have tried both ways, and it seems that the bitnami launcher is easier to use, but you do have to have a bitnami account for this. And your credentials are in the bitnami account. Are there any drawbacks to either way?? I prefer the Bitnami stack. They have in-depth documentation and also provide top-notch customer support. The Bitnami version, however, requires more back-end configuration than the Click-to-Deploy version to setup initially. 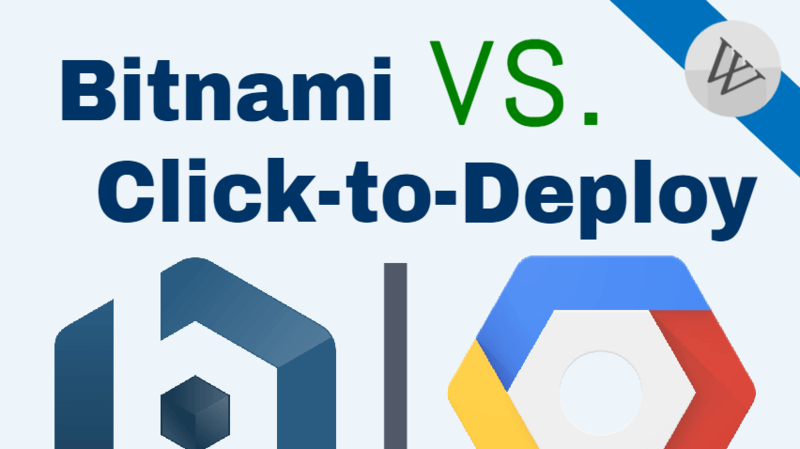 Check out this article that I published about the significant differences between the Bitnami and Click-to-Deploy stacks. Also, I don’t believe you need a Bitnami account to install their WordPress solution – you can install it directly from the Cloud Launcher menu. Great article. Love what you guys are doing. Keep it up. Thanks for taking the time to comment – I appreciate the feedback! Let me know if you have ideas for future tutorials or ever have any GCP-related questions! Thanks for this excellent article. It is very useful and interesting reading. I think the Bitnami is probably the better way to go for me for 3 main reasons; the community support and documentation plus the added security you mentioned because phpMyAdmin is only accessible locally via SSH tunnel. Although there might be a steeper learning curve I don’t think it would be unachievable particularly when there are a few avenues to get help when troubleshooting. It was good to point out the other features of the Bitnami stack such as the additional software with links to more information. But one things I don’t really understand at the moment is whether these apps are being used automatically such as the Varnish Cahe or they are included but would need to be configued in order to make use of them? For instance in your tutorial on SSL Certificate setup for WordPress on Google Cloud Bitnami https://www.onepagezen.com/ssl-certificate-setup-for-wordpress-on-google-cloud-bitnami/ are you using the capabilities of OpenSSL app? Overall, you have offered an excellent article which has helped me to understand the differences between these two Stacks. You raise some good questions. I think that varnish has to be configured separately – and I honestly haven’t worked with it before. I know it offers a great deal of functionality though, which would probably be more valuable as a cache option for enterprise-level websites with heavy traffic that demand greater control. As far as the SSL certificates, the Bitnami DOC recommends OpenSSL for certificate generation, but in the SSL tutorials that I published I use Let’s Encrypt in it’s place. There is no reason anyone should have to pay anything for basic SSL encryption. Also – I checked out your site and I really like the clean design; well done! I like how you connected the teacher profiles with maps, it worked really well and reflected a great deal of legitimacy and professionalism for your organization. Thanks again for commenting and talk to you soon! Thanks for replying. Appreciate your comments. I have just used WordPress theme (X Theme) and added some small modifications so it’s ok and clean but to be honest I think some of the context could be a little better organised, and imagery rethought to make it really schmick so I will do a revamp fairly soon. And, I will try out building it on the Bitnami GCP 🙂 When I do I’ll share a link so you can check it out. Thanks again for these excellent tutorials. I noticed you posted another today! Keep up the great work. It looks like a good theme! I’ve never worked with it before but it looks really clean and simple. Good luck building it out on Bitnami GCP – let me know if you have any questions and I will see how I can help. Who knows, you may want to integrate their Moodle stack with your website at some point. The great thing is once you’ve learned to configure one stack on Bitnami, you can pretty much configure them all. Great, great tutorial, I pretty new at Google cloud but not afraid to learn. I have a video website where people can either paste from youtube or upload their video file, right now I’m building it on Namecheap but something tells me that I might need more space and processing power in the future, do you think I should transfer it to the Google cloud? thk you. Learning how to configure websites on Google Cloud takes a lot of time and can be frustrating, but you’ll be amazed at how much you learn! What I would recommend is building your existing website on NameCheap, and then building another website on the side using Google Cloud. This will help you to get comfortable with the platform without putting your site in jeopardy, as it’s easy to “screw things up” when you’re starting out on Google Cloud. Either way – feel free to get in touch if you ever have any questions, I’m always happy to help! Thank ou for answering so quickly, yeah I think you’re right, I’m gonna launch the site on Namecheap for now. If you don’t mind let me ask what is the main benefit to deploy a site from a cloud like Google platform and a usual host let say Namecheap for example? If you’re just running a basic website, it’s best to go with a managed hosting provider like Namecheap. As you develop your website further, you will find that managed hosting is limited, and does not offer the level of control that you will find on a cloud platform (such as AWS, GCP, or AZURE). Take for example your video website. If you were serving the media files from your own servers, you would very quickly outgrow managed hosting, and would either need to look into dedicated servers or moving your website to the cloud. Some people choose to learn how to configure websites on a cloud platform while there website is still small, that way they know how to deploy and configure them on the cloud when the time comes. Let me know if this helps answer your question, or if you have any other questions!